While 2017 saw a number of young talents emerge in the world of kabaddi thanks to the Pro Kabaddi League, it was also a year during which multiple stalwarts of the game failed to impose themselves. Veterans and legends of the game struggled and it wasn't a pretty sight. On that note, let's take a look at 5 players who disappointed in 2017. 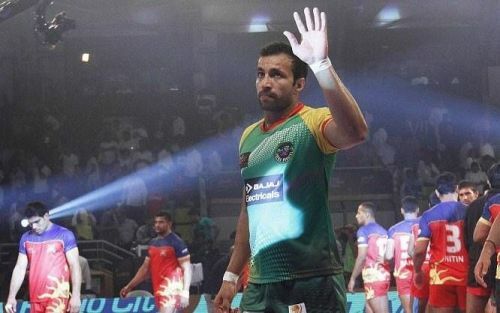 When the Telugu Titans acquired the services of Rakesh Kumar, one imagined they finally had the experience to challenge and compete in the later stages of the tournament. However, the former India captain had a torrid time on the mat. Kumar played 10 matches and managed a measly 23 points in total. Far too often, he seemed uninterested and lacked the hunger one requires to perform at the highest level. Telugu's most experienced player and all-rounder cut a frustrating figure on most nights. His season was also plagued by a couple of injuries and he made no significant contribution to his team in 2017.